The Beal Strap X is available in 2.5 cm x 10 m, 2.5 cm x 5 m, and 1.25 cm x 5 m lengths. 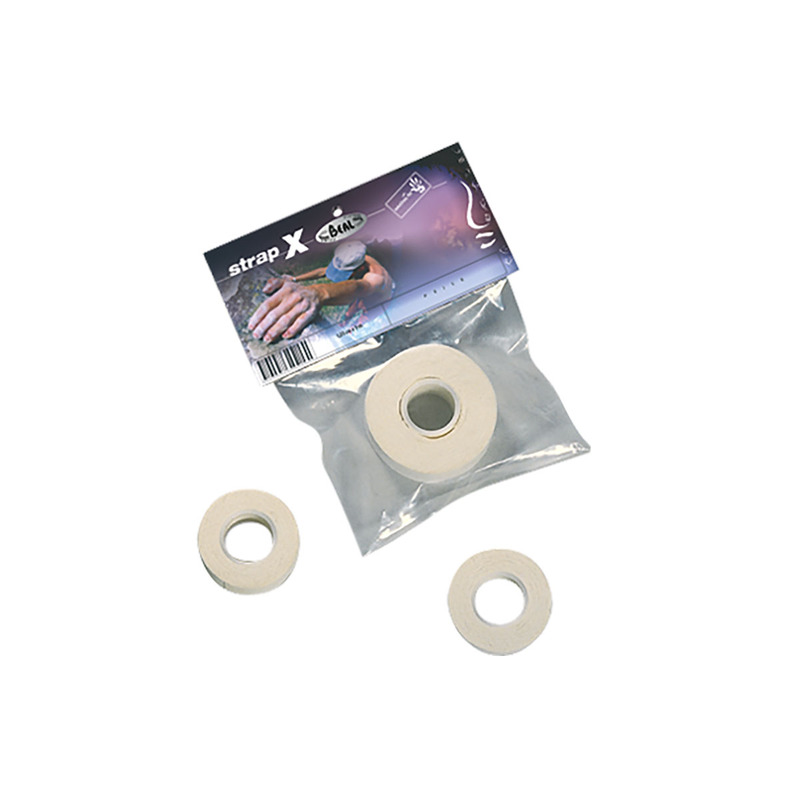 The Beal Strap X is a finger tape specially developed for climbers looking to protect their tendons and joints. I used this tape first to support a sprained ankle, it worked great, really it did, I felt like it had never been sprained in the first place. As soon as I took the tape off however, I realised that the skin underneath was turnin pink already - thought nothing of it until the day after when it had turned a swollen angry red with the most infernal of itching. My dermatology professor announced this was a prime example of Contact Dermatitis from a Type IV hypersensitivity reaction... in other words, allergy. Apart from learning exactly what it can present as and how to treat it now, I’m eur6.50 short apart from the steroid ointment and industrial strength antihistamines I had to fork out money for to stop my foot from falling off. But yeah this zinc oxide tape provides some great support otherwise.